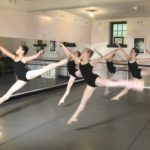 Providing optimal instruction and performing opportunities for young dancers in Winchester, Virginia. For each donation of $100 or more, you may receive a beautiful 8×10 autographed professional photograph of Susan and Gennadi Vostrikov, the photograph used to develop the academy logo pictured below. After highly acclaimed careers as principal ballet dancers with internationally renowned performing companies, Gennadi and Susan Vostrikov began the next chapter of their career. In 1982 they established the Vostrikov’s Academy of Ballet (VAB) in Winchester, Virginia. 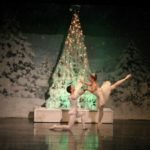 In 1989 Mr. and Mrs. Vostrikov then established the Virginia Youth Ballet and Theater (VYB), the non-profit pre-professional performing company affiliated with the academy, whose mission is to provide performing opportunities for young dancers as well as outreach programs for members of the community who otherwise might never experience a live performance. Over the years Mr. and Mrs. Vostrikov have graced thousands of dancers with exceptional training but have also enriched their lives far beyond the stage. Many alumni have continued with successful careers in dance and related arts, while many others excel in careers outside of the arts. The benefits acquired through their participation with VAB and VYB–including confidence, self-assurance, determination, perseverance, and comradery—are important factors of success in any profession. VAB-VYB alumni excel in such areas as law, medicine, engineering, research science, health sciences, architecture, education, business, and marketing. In September Mr. and Mrs. Vostrikov announced their intent to retire in May of 2017. While the VAB-VYB community will miss them dearly, we wish to support them as they enter a well-deserved retirement. 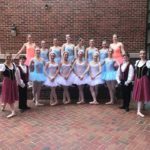 The Virginia Youth Ballet plans to preserve their legacy by purchasing the Vostrikov’s Academy of Ballet and merging the academy and performing company into a single non-profit entity. 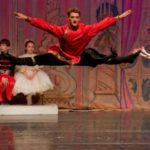 The board of directors of the youth ballet, along with the faculty of the academy, is committed to maintaining the quality of instruction and rich traditions that have been associated with these two organizations, such as the annual production of the Nutcracker and children’s ballets. Due to the generosity of supporters, these productions have been completely funded by VYB with no expense to students. Now VYB envisions a future of expanded outreach programs including scholarships for less-privileged children to receive instruction at the academy. Thank you in advance for your consideration and generosity.